If you are in charge of bringing a side dish, this easy instant pot macaroni salad recipe is always a winner! Hey yall! We have officially hit the summer months and it is hot, hot, hot! The kids are out of school and we have been trying to find things to do inside to entertain ourselves. It’s just too hot during the day to go out and play. The first month out of school we spent a lot of time at the pool with friends. Any time we were invited over for a pool play date we said YES! The kids were able to play with friends, in a pool and get some of their energy out all at once. It was a win, win, win. We are now in the second month of summer break and I decided to spend it up in Michigan. Well, I asked my in-laws if we could stay with them for the month of July and then we packed it up and headed north. My thought process was that it would be cooler up north and that the kids would have endless entertainment being around their cousins. Only the second part of that last statement has been true. I didn’t realize that it was just as hot up here as it was down in Texas! Granted, it’s a totally different kind of heat. But it’s still fairly warm during the day. Warmer then I expected. Which shows how much I pay attention to the weather. All of Ryon’s family lives in Michigan and there are so many cousins all around the same age as our kids. We have spent many a day and night at someone’s house watching the herd of kids run around together. We have been able to go to a birthday party and church with family. It’s been nice. 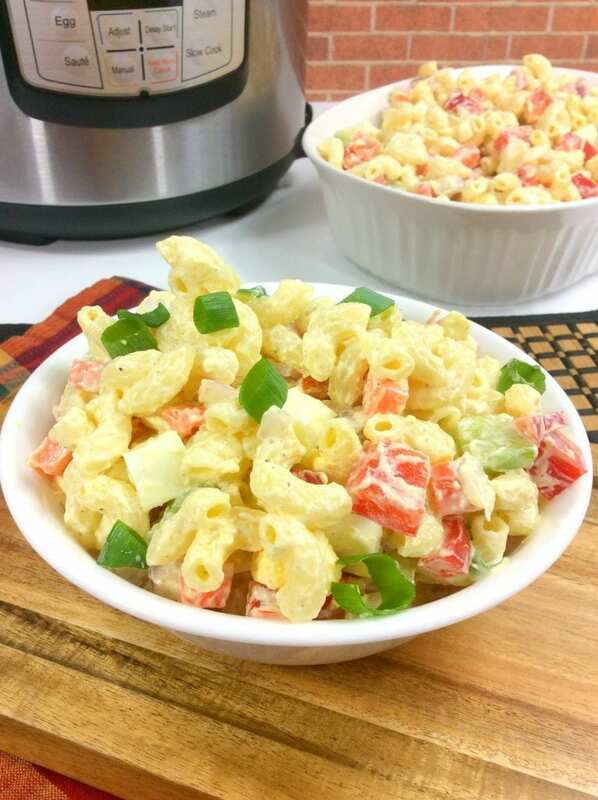 Which is why this instant pot macaroni salad is such a great side dish. It comes together quick and it’s always a family favorite. 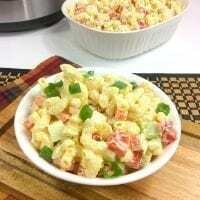 I normally come home with an empty dish when I bring this macaroni salad to a get together. Or a birthday party. Or a “let’s have the kids burn off some energy together” party. The last one may be my favorite. 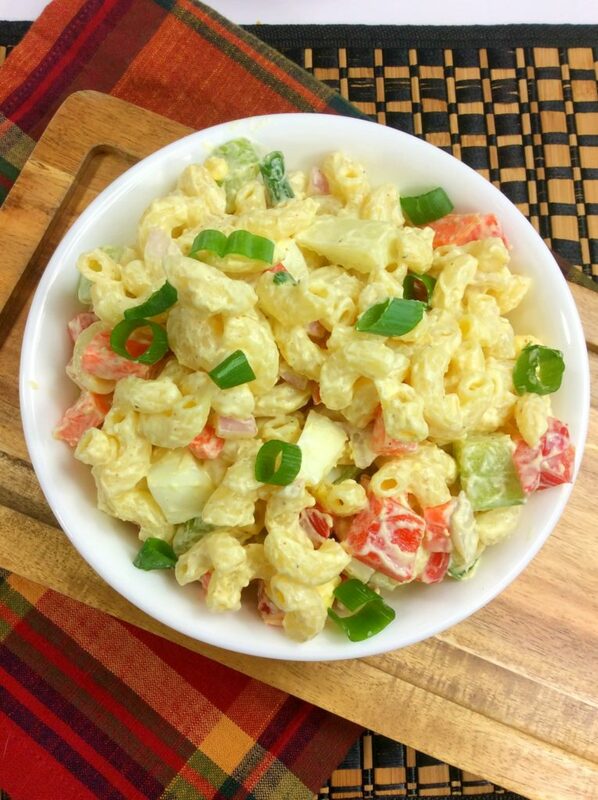 To make this macaroni salad in the instant pot you place the pasta and water together in the pot. Set it to manual mode for 6 minutes and then do a quick release when it’s done. Strain it and mix together the remaining ingredients. 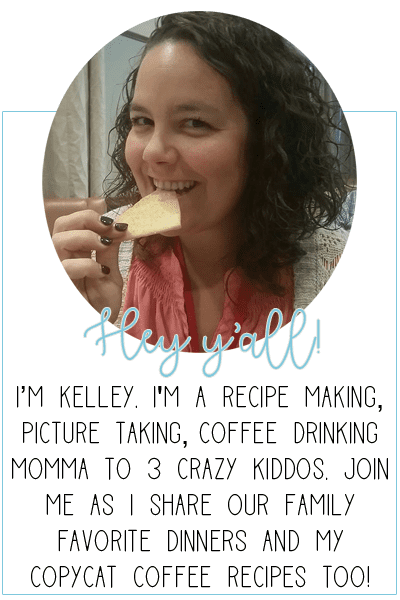 If you have any questions on using your instant pot (or pressure cooker), refer to your manual or check out this post on getting started. 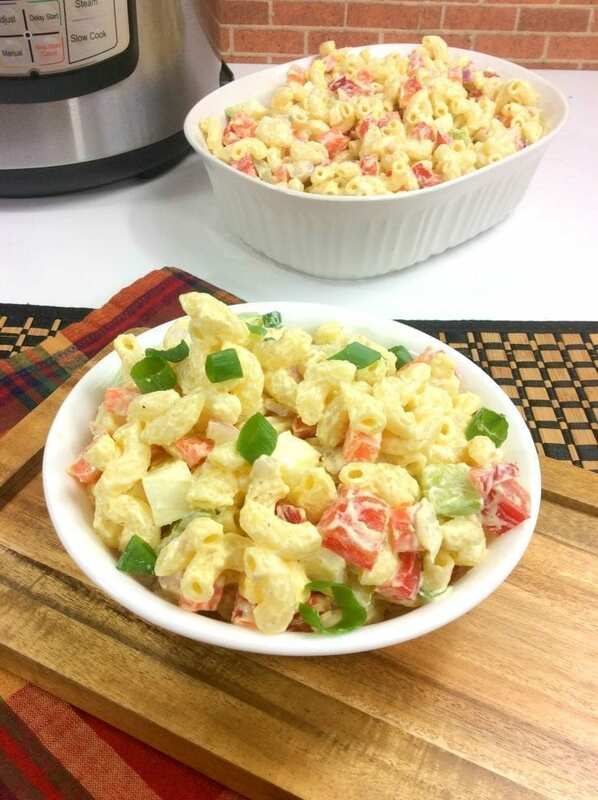 If you don’t have an instant pot or prefer not to use it, you can still make this easy macaroni salad recipe. Place your pasta and water in a pot over medium heat on your stove. Bring to a boil and allow to cook for 7-9 minutes, or until your pasta is soft but not mushy. Remove from heat, strain and mix together other ingredients. Also, feel free to change, add or omit the amount of chopped veggies. You can totally make this pasta salad your own by adding in a whole cup of onion and half the carrots. Or no onion and more carrots then you can count. It’s up to you! Add macaroni and water to the insert pot of the instant pot. Close lid and seal valve on your instant pot. Set to high pressure, 6 minutes in manual mode. When it's done, do a quick release. Allow cold water to drain off. 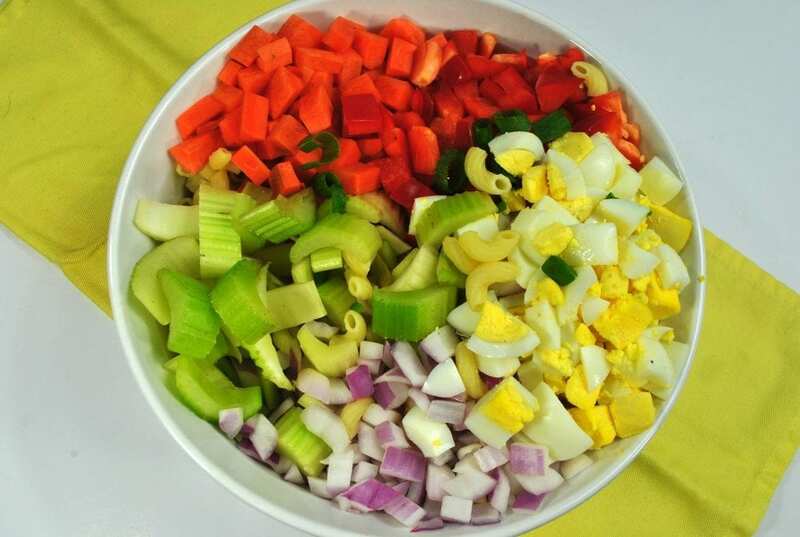 Combine the chopped eggs, bell pepper, carrots, celery and red onion. Set aside. In a medium bowl, mix till combined the dressing ingredients. Pour the dressing over the pasta and mix until combined. Add chopped green onions on top. If possible, place in refrigerator for 1 plus hour to chill.